Buying organic produce or growing your own can significantly reduce the amount of pesticides your family is exposed to. It's so important, especially with the growing evidence that toxic pesticides cause cancer and many other diseases. I gasped today when I realized how much our grocery budget has grown with escalating food prices and our kids' growing appetites. With that in mind, we simply cannot afford to buy all of our fruits and vegetable organic - as much as we would love to. They even taste better in our experience! Even better, I would love to buy from a local farmer, but farmer's markets in our area are exorbitantly expensive - usually 2 to 3 times more than what you would pay at the grocery store. 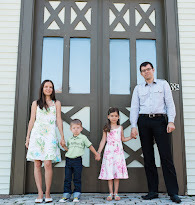 What's a family on a budget to do? Use the EWG Shopper's Guide to Pesticides of course! Their list has just been updated for 2013, with apples, celery, and surprisingly - cherry tomatoes in the top three for highest pesticide content! This is a really helpful list, knowing that a non-government, third party agency is willing to go to such lengths to help us make healthier choices for our families. I'm glad to see that some of our staples like avocados, mangoes, mushrooms, onions, and sweet potatoes - are on the 'Clean' list for least pesticide content. But my wallet will certainly feel it with buying organic apples, celery, cucumbers, potatoes, and cherry tomatoes. Please do note though that the sweet corn on the clean fifteen list is most often genetically modified! It's best to buy it organic because even though it may not have as much pesticide residue - pesticide are genetically engineered to be part of its DNA! Here is a small preview of the full list at EWG! What do you do to stay within budget eating real, unprocessed foods? 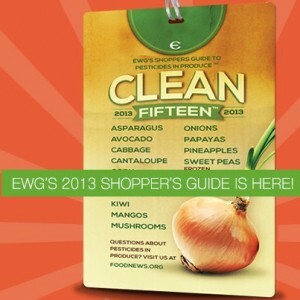 Do you use the EWG Shopper's Guide to Pesticides? Thanks for the refreshing update, im surprised that cabage goes into clean fifteen, from what i know all the family of salads, including cabage goes into dirty dozen, sweet peppers also.